Las Vegas, NV, USA (7 January 2019)―The five finalists in the three-year Mobility Unlimited Challenge have been unveiled at CES in Las Vegas. The Toyota Mobility Foundation launched the $4 million global challenge in 2017 in partnership with Nesta's Challenge Prize Centre, with the aim of improving the lives of millions of people with lower-limb paralysis. The Challenge invited engineers, innovators, and designers from across the world to submit designs for game-changing technologies, incorporating intelligent systems, to improve the mobility and independence of people with lower-limb paralysis. Central to the Challenge is the importance of collaboration with end-users to develop devices which will integrate seamlessly into users' lives and environments, while being comfortable and easy to use, enabling greater independence and increased participation in daily life. a non-intrusive sleeve which goes around the user's leg and has sensors that track the user's walking motion and will stimulate the right muscles at the right time to improve mobility. an integrated network of wheel-on powered devices, allowing users of manual wheelchairs the convenience and benefits of a powered chair, accessible via an app-based share scheme. an ultra-lightweight, self-balancing, intelligent wheelchair which eliminates painful vibrations. a mobile exoskeleton on wheels, allowing users to sit or stand with ease. a highly mobile, powered exoskeleton offering fast, stable and agile upright mobility. Dr. Eric Krotkov, Chief Science Officer at Toyota Research Institute and one of the judges of the Challenge, stated: "There are so many technological opportunities to explore approaches to alleviate challenges stemming from lower-limb paralysis. A competition like the Mobility Unlimited Challenge gets innovators to focus on the same problem to identify something of great common interest that serves society. I am excited by these finalists who have a breadth of technical approaches - wheelchairs, orthotics, braces, exoskeletons. I look forward to seeing how they will take these devices out of their conceptual stage to help our end users." 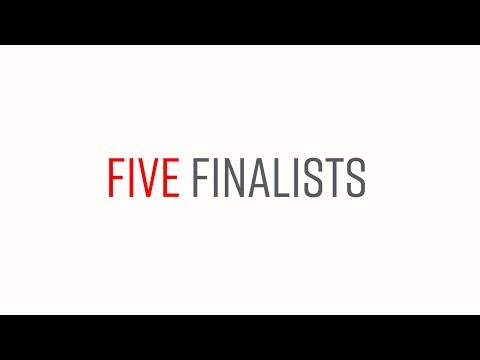 Ryan Klem, Director of Programs for Toyota Mobility Foundation commented: "These five finalists have shown real innovation driven by human-centered design. We think that the technology incorporated in these devices could change the lives of a huge number of people around the world, not just for people with lower-limb paralysis, but also those with a wider range of mobility needs. It will be fascinating to follow the teams' journeys and see how the $500,000 grant will help them develop their ideas to bring to market and get them into users' hands." Charlotte Macken of Nesta's Challenge Prize Centre said: "Current personal mobility devices are often unable to fully meet the needs of users due to limitations affecting functionality and usability. Historically, the pace of innovation is slow, due to small and fragmented markets and difficulties in getting new technology funded by health-care systems and insurers. This can make the field unattractive to the very people who could help change the world. We hope that challenges like this can inspire innovation and are excited to see how the five finalists use this opportunity to develop their ideas further." The Evowalk is a non-intrusive sleeve which goes around the user's leg and has sensors that track the user's walking motion and will stimulate the right muscles at the right time to improve mobility. This personalized, timed muscle stimulation that helps user's muscles contract as they walk will not only help them day to day but will also rehabilitate the muscles over time. "It feels amazing to be selected. The Mobility Unlimited Challenge is a fantastic opportunity for people to build devices that are normally hard to fund but could make a huge difference. This support will help us finish our research and develop the device further, so we can get it to the people who really need it. People like my dad. My dad has multiple sclerosis and developed foot drop. He was recommended a device that was far too expensive so myself and some friends built this prototype that helped. After that we wanted to make something affordable for others. Our main goal has always been to help people regain the ability to walk freely again." Moby is the first mobility service created for wheelchair users. It's the cycle share scheme equivalent for wheelchair users. Consisting of a series of wheel-on electric devices, located in urban hubs, it will make travelling around cities much simpler and easier for people with lightweight manual wheelchairs. Connected via an app, it will enable users to interact with the device, other wheelchair users and other means of transport. "Moby is a concept we developed over time, working with users of wheelchairs. They said they wanted a way to make travelling easier and so we developed this platform. We entered this Challenge because we wanted to have a different kind of mobility solution which is accessible to all. We are very happy to have been selected for the Challenge and hope to develop the concept further and to build the first prototypes to test on the street as soon as possible. We are looking forward to bringing this concept to reality and working with users to improve it over time. The Mobility Unlimited Challenge is important because it give a possibility to everybody to take part and make a difference in the mobility world." The Phoenix AI wheelchair is an ultra-lightweight manual wheelchair made from carbon-fiber. Using smart sensors the chair will configure itself to what the user is doing so it remains in sync with how the user moves. The sensors detect if the user is leaning forward or back, algorithms will calculate the wheelchair's response. The Phoenix Ai will have many smart functions never before seen in wheelchairs, at the core is intelligent centre of gravity. The chair will continually adjust its centre of gravity to fit what the user is doing making for a chair that is easier to push and turn by eliminating drag and uncomfortable, painful vibration while also making the chair safe from falling backwards. Intelligent, lightweight power assist will make slopes easier to ascend while automatic braking will remove the need for users to grip the wheels to slow down. "I'm delighted to have made it to the final five. I've worked towards this for years but didn't expect to make it through! I'm so pleased the judges recognised that the wheelchair has proved itself as the most viable mobility device for decades and although it has done well it is now tired and in need of a serious makeover. I wanted to show how I think the wheelchair can be evolved while maintaining its core, proven fundamental capabilities that are behind its success as a mobility device. I wanted to be part of this Challenge because I broke my back when I was 14 which was now thirty-five years ago. By the time I was 16, I'd decided that I would one day design a wheelchair that would change perceptions by using cutting edge materials and styling. I knew the next step beyond advanced materials has to be to make wheelchairs smart. But that costs a huge amount of money in development. So, when I saw this Challenge, I thought here is the money to develop this technology. No-one else is going to do it. No company is going to decide to spend half a million dollars on research and development to advance the manual wheelchair. Why should they? As long as their competitor also doesn't do it the status quo can continue with wheelchairs remaining much as they were thirty-five years ago. This Challenge changes that. Being selected is just incredible. But now the work really begins, we've got eighteen months to turn the wheelchair which has been in the technological dark for so long into a futuristic device that intelligently makes wheelchair life easier." The Qolo Standing Device consists of a lightweight, mobile exoskeleton on wheels which uses passive actuators to allow users to sit or stand, effectively removing the 'chair' from 'wheelchair'. Mobility is controlled using the upper body, allowing hands-free operation. The device enables users to travel around in a standing position, changing both physiological and social aspects of everyday living. "We're very proud to be in the final five. We want to remove the chair from wheelchair. Our device gives users the choice to sit or stand, using cutting edge technologies. This means that wheelchair users can interact with other people at the same eye-level, improving communication and changing the way they see the world. We are of course very happy to have been selected, but our work is not over. Once we develop our product and people start using it and we see how it has helped people, that will make us truly happy. But what makes us most happy is that there were 80 entrants. Eighty innovators contributing to society. Not just our unique device. The hope is that someday people could be choosing from 80 very different devices." A robotic, powered exoskeleton with motors at the hips, knees and ankles, as well as additional actuators offering someone with lower-limb paralysis fast, stable, and agile upright mobility. Utilizing modular actuation, perception technology from autonomous vehicles, and control algorithms for balancing autonomous humanoid robots, this device will deliver the mobility, safety, and independence that current exoskeletons cannot. The device will improve accessibility in society―especially at home and work. "We're delighted to have made it through as one of the five finalists of the Mobility Unlimited Challenge. In the business world, developing technologies for people with lower-limb paralysis has been extraordinarily hard. We've constantly struggled against people saying the market is too small and because of that people aren't putting in the effort, research or investment this field deserves, meaning there hasn't been enough advancement. We're now focused on the next stage of the Challenge. On the engineering challenges to meet the needs and wants of users. And on the business development side, making this commercial and ensuring it gets to the people who need it most." The Toyota Mobility Foundation was established in 2014 to support the development of a more mobile society. The Foundation aims to support strong mobility systems while eliminating disparities in mobility. It utilizes Toyota's expertise in technology, safety, and the environment, working in partnership with universities, government, non-profit organizations, research institutions and other organizations to address mobility issues around the world. Programs include resolving transportation problems, expanding the utilization of personal mobility, and developing solutions for next generation mobility. Across the world, there are many people and communities that are overlooked and underserved, facing ever more complex challenges. Nesta's Challenge Prize Centre tackles some of these problems by harnessing and fostering innovation, fresh thinking and technology to achieve positive impact. The UNDP's Renewable Energy Challenge Prize, to find a renewable energy solution capable of providing off-grid power to cover the needs of war-returnee families in rural Bosnia and Herzegovina. To find out more visit http://challengeprizecentre.org.